Art experiences provide for a child’s development well beyond learning the names of colours or how to draw with a pencil. Well chosen art experiences provide for a child’s learning and development in so many ways – developing academic, language, social, emotional and physical skills. As well as ideas for making art, each section includes information for adults supporting children’s learning as they create, and tools for seeing and talking with children about art. “Time to Create is full of down to earth, doable, creative ideas for all ages. There are lots of great photos and step by step instructions as well as information on why art is important, what children learn, how to talk to your kids about their art, tips for displaying and storing art, and pretty much everything you need to know about art for young children. Packed with everyday opportunities for children to learn as they create and discover, plan and test ideas, wonder and explore the world around them, Time to Create also includes tips for fostering creativity, advice for choosing the right art project, suggestions for minimising the mess, ideas for making space to create and for choosing and organising art materials. Who was Time to Create written for? I wrote Time to Create with both parents and educators in mind – particularly those who struggle with finding ideas, time and/or space for offering artistic opportunities for children. Children provided with regular opportunities to express their own ideas and understandings creatively will be well equipped to tackle many of the challenges of our modern day world as through thoughtful art experiences they are developing essential skills associated with problem solving. planning, communication, perseverance and self expression. 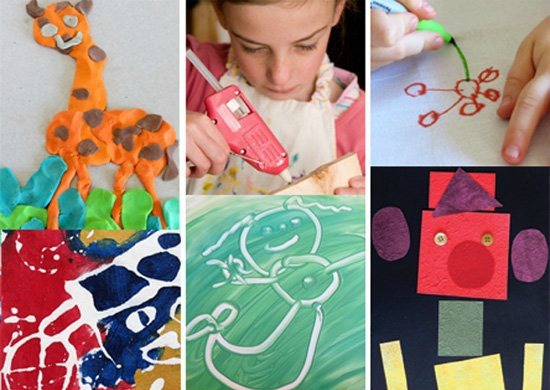 Art making really is important for children’s learning. What materials will I need to complete the activities with my children? Part of my intention in writing Time to Create was to provide a resource that parents and educators could dip into for inspiration at a moments notice. 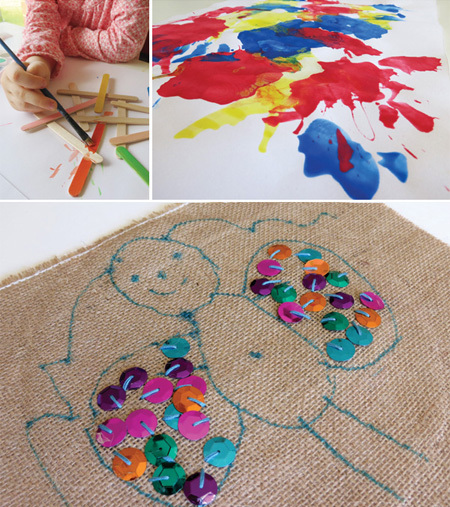 As a result the majority of the activities use common, household objects and basic art making media and equipment – think crayons, oil pastels, felt tipped markers, glue, scissors, child friendly acrylic paint and food colouring. What age are the activities suitable for? Time to Create is about seeing the limitless potential of children’s art – the potential for learning, communicating, feeling and expressing – and I see the ideas contained within as a springboard for inspiring the child’s own creativity. As a result I actually find this the trickiest question to answer as I think the answer will be different for every child, parent and family, and for every classroom setting and teacher. It really all comes down to your approach to art. The activities in Time to Create are open ended and process orientated, providing children with the space and opportunity to respond individually. While a preschooler might need a little practical assistance with some of the more technical aspects of an activity like printmaking or sewing, older children can be challenged to create more intricate designs and will enjoy taking ownership of the entire creative process. 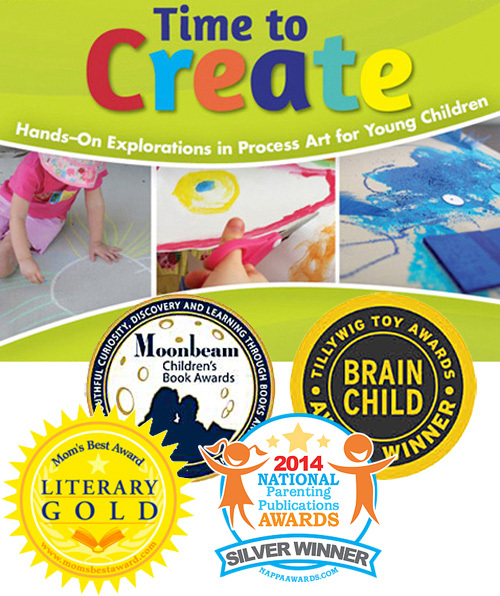 The book includes suggestions for art making with very young toddlers and activity ideas that are more suitable for early primary or elementary school aged children. That being said I know children aged nine (almost ten) who still enjoy many of the activities in the book. How can I purchase a copy of the book? How can I purchase a copy of the eBook? The eBook is currently available through Amazon’s Kindle store, eBooks.com and Barnes & Noble’s Nook bookstore.